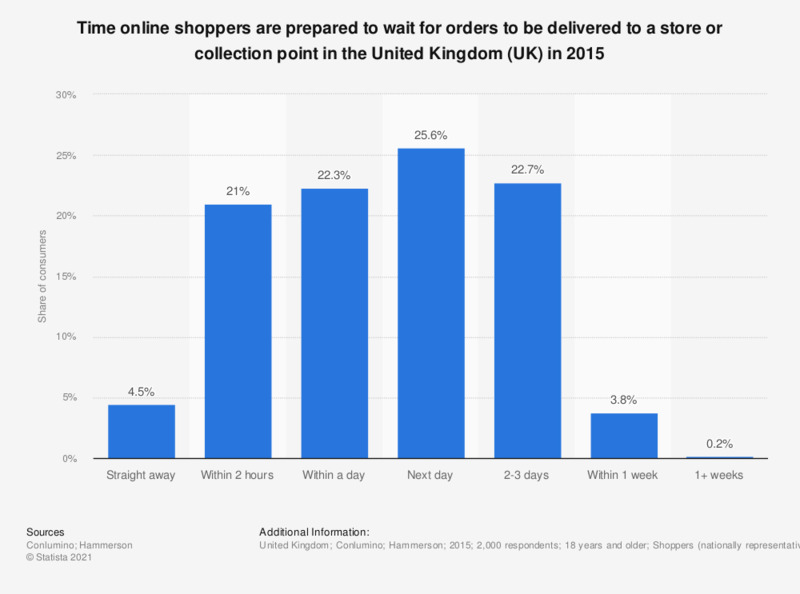 This statistic depicts the time online shoppers are prepared to wait for orders to be delivered to a store or collection point in the United Kingdom in 2015. Of respondents, less than 1 percent said they would be willing to wait over a week for an order to be delivered in-store or to a collection point. How much would you be willing to pay for drone delivery if your order arrived within the hour?